My 'official' birthday party was last Saturday (I'm still editing the photos!) 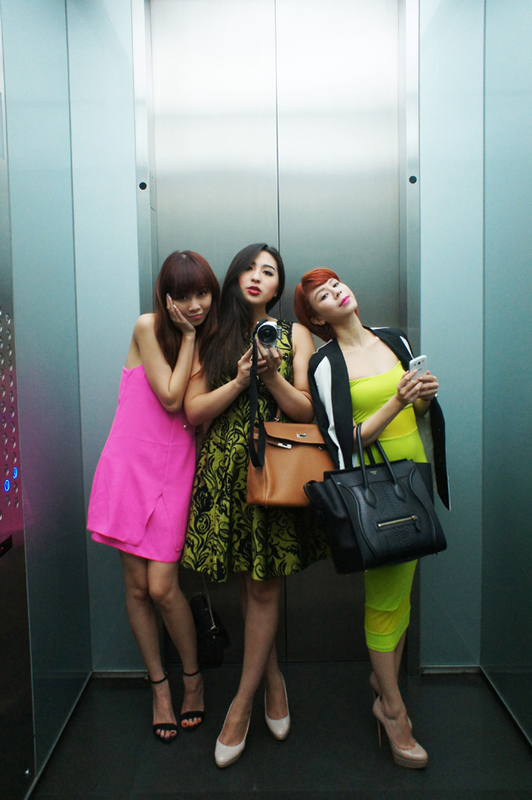 but yesterday the terrible trio got together for a day at the spa and dinner in the sky. Which is how my impromptu slumber party with Nana and Michiekins came to be; I literally sent them home only for them to pick up an overnight bag, ignoring their other half's pleas to "Stay home and sayang me" hahaha sorry it's my birthday. A hilarious story; while waiting for the JW Marriot valet to bring the car round Nana was anxious to be sure that her Macbook was still in the boot. It's a nice hotel and everything, but the crime rate in the city is not to be underestimated. Out of the corner of my eye a silver Mercedes appeared and without looking up from my phone I told the girls "That's my car." Of course it wasn't, but we didn't realise that. Nana popped the boot and screamed "Where's my Macbook?!!" I stared at the license plate for about 3 seconds before realising that I was about to get into a stranger's car and drive off. Michiekins outdid us all by already climbing into the back and going "Hmmm, you car looks a little different..." OOPS. Bahahaha bimbo moment of the day. We eventually got to Troika in one piece, and in my own car. 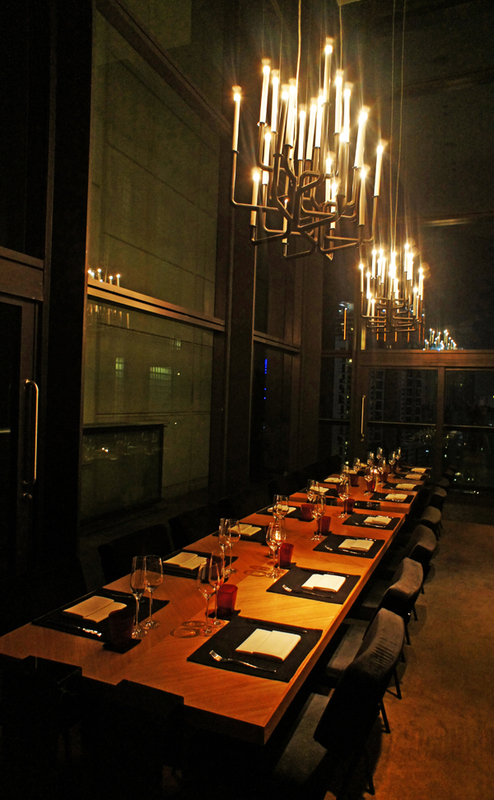 We 'sky-dined' at Cantaloupe on the 24th floor. 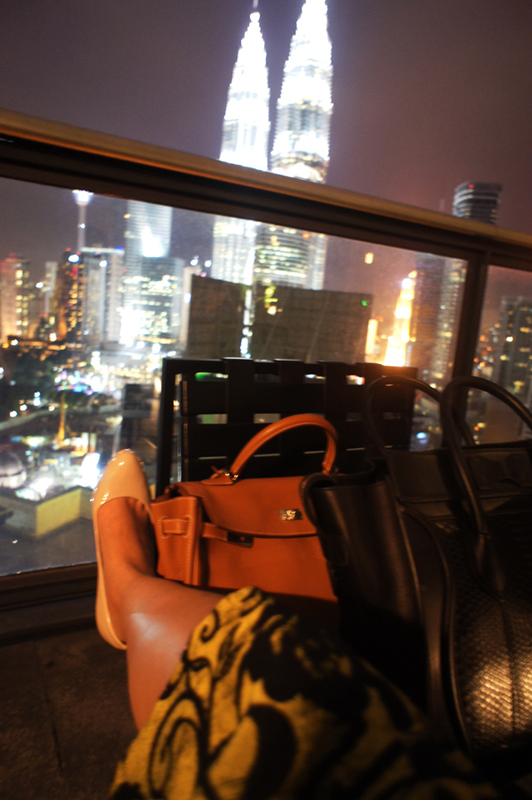 ...before settling on the outdoors balcony for a spot of supper. 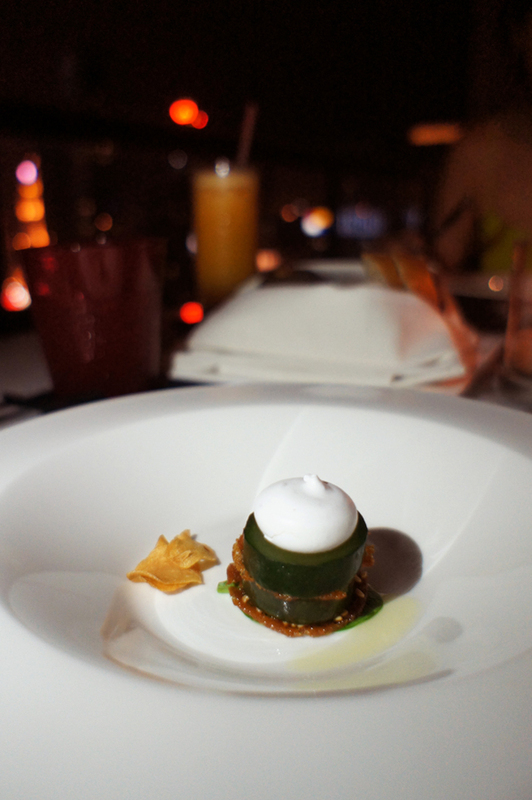 The amuse bouche had far too much cucumber for my liking. I only like cucumbers on my eyes. Nana and Michiekins shared a lobster starter, while I had a whole plate of foie gras terrine to myself. Michiekins asked for more salt to flavour her cod with, which in a fancy restaurant would be deemed a faux-pas but it's not really the diner's fault if the food is bland is it? Not that I would know, I don't eat cooked fish. ...and I enjoyed a tiny but perfectly-formed cube of wagyu cheek, with a side of fats and cheese wrapped up in lettuce. The wagyu melted in my mouth like butter, and was perfectly done. Last night was the same night as the Linkin Park 'Living Things' World Tour in K.L which we sadly missed out on. But no matter, we ushered in my birthday sitting in my car parked in front of Times Square, listening to the live broadcast of the concert and headbanging along, screaming "In the eeeeeend it doesn't even matter-uh-uh-UH!" Much more low-key than Golek-Unit International High School but no less memorable a way to usher in a birthday.